Would you believe me if I told you this is an extremely easy potatoes recipe? Probably not as it looks so impressive - fit for a dinner party. Let me show you how to get this effect. You take enough potatoes for as many people as you are feeding. That's new or salad - it depends on the time of year and where you live. Clean them with water to get any dirt off and if you see any little blemishes, then scrape those away. 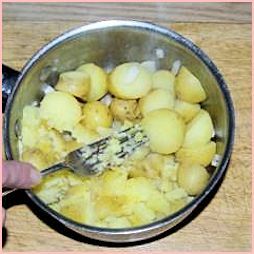 Bring a pan of salted water to the boil - add the potatoes cut into even chunks and a chopped clove of garlic per two people or to taste. You can leave this out if you prefer. Reduce the heat once the water's come back up to boil and simmer for around 15 to 20 minutes until the potatoes are cooked through. Test with the point of a sharp knife - if it slides in smoothly, then they are ready. Strain the liquid. You could use this as the base of a vegetable soup if you like. You can see them here - with some skin on. Take an ordinary kitchen fork and crush them - not mash, just squash each potato into a mush. Then, take a knob of butter per person and stir that through. Take a level tablespoon per two people of mayonnaise - a good quality one - and mix it in. 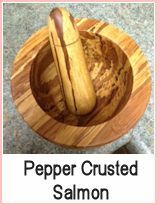 This is good to serve with plain grilled or pan fried fish, chicken, steak - any time that you don't have a lot of sauce with your dish and you want some moister potato. To me, this looks so elegant - your family might ask you who's coming to dinner? 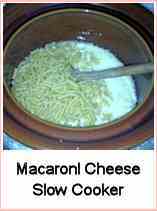 You could also add some chopped onion to the mixture instead of garlic if you want something a little different. Easy Potatoes are good with plainer cooked fish - ie minimal sauce. 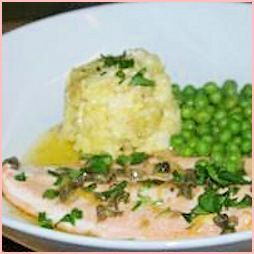 Take a look at these pages - the trout and salmon would be perfect with the easy potatoes and the mac and cheese is great for serving with plainer fish as you get a lovely creamy sauce with it. 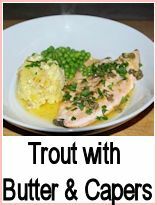 If you look at the Trout with Butter and Capers, you will see the same potato - it's the actual meal I cooked! An easy potato recipe that will make the family ask you who's coming to dinner! This looks like you've spent hours creating it, but you won't have done.